Pressure turns coal into diamonds, which is why it’s essential for any professional athlete to learn how to succeed under pressure. This alone can make or break a player’s career. In hockey, gripping your stick too tight from nerves will cause all sorts of problems, a familiar scenario for many young players making their professional debut. The typical wisdom is to give them a few weeks to get settled in or, in some cases, a season or two. For Anaheim Ducks prospect Isac Lundeström, time spent in the Swedish Hockey League may cut down that adjustment period significantly. In fact, the 18-year-old center may not need much at all. When the Ducks selected Lundeström 23rd overall in the 2018 NHL Entry Draft, the reaction was lukewarm. He wasn’t a bad choice. The six-foot, 185-pound center was considered a prototypical Ducks pick: safe and Swedish. Experts praised his two-way ability, which Steve Kournianos at the Draft Analyst called “something you rarely see from any teenager.” Some mentioned his soft hands, creative playmaking, and accurate shot, all with the caveat that while his play is good, it lacked the potential to be truly elite. However, one thing that almost every analyst noted about Lundeström was his poise. In the 2015-16 season, he played 4 games for Lulea in the SHL at the age of 16. He played his first full season the year after and scored a modest six points which tied him for the league lead in points by a 17-year-old that season. The following year, Lundeström doubled his goals and tripled his assists. He grew up quickly and adjusted his game to match those around him, a skill that will prove immensely useful in the NHL. THW’s Mark Scheig draws comparisons between Lundeström and legendary Peter Forsberg but also notes that his face-offs need improvement and that he needs to add a bit more weight. From September 8-11, Ducks prospects joined players from the LA Kings, San Jose Sharks, Arizona Coyotes, and Vegas Golden Knights for a tournament hosted by the Golden Knights. The Ducks swept their opponents, outscoring them 21-9 over three games. Part of that offensive firepower came from Lundeström, who played in the first two games. Corey Pronman at The Athletic highlighted his performance saying, his “decision making and hockey sense were among the best in the Vegas tournament” (from ‘Pronman: Standout Performances at NHL Rookie Camps’, The AthleticNHL – 9/11/18). At the tournament, Lundeström’s poise was on full display. He protected the puck well and made excellent decisions while remaining calm and collected. He stood out for me a month ago for the same reason when he played at the Ducks’ prospect scrimmage. He skates quickly but never looks rushed. Although he only scored twice in seven games at the 2018 WJC-20 tournament, he was controlled and executed well, playing top-line minutes for the silver medalist Swedish team. At the moment, Ryan Kesler is a question mark. An update on the veteran center is expected shortly but it looks like he’ll be sitting out for a decent chunk of the 2018-19 season, if not missing it entirely. This is bad news for the Ducks but good news for any young player that wants to make a name for himself; a player like Isac Lundeström. The third and fourth line center positions could be up for grabs and the Ducks only have so many centers to fill the role. 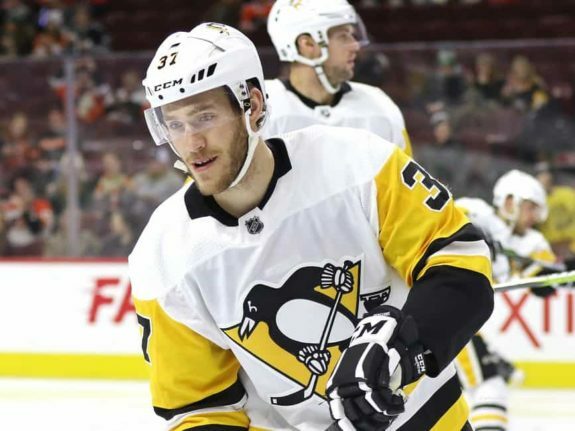 They signed Carter Rowney in the off-season, a forward familiar with playing bottom-line minutes. But, to play Rowney on the third line is a wasted opportunity to develop a prospect. In terms of other prospects, Lundeström’s main competition comes from Kalle Kossila, Sam Steel, Joseph Blandisi, and one or two other wild card selections from the Gulls like Mitch Hults, Julius Nattinen, Chase de Leo, or Alex Dostie. Kossila, 25, scored 54 points in 55 games for the Gulls during the 2017-18 season. He’s appeared in 11 games for the Ducks and has looked fine but not special. Blandisi was acquired in the 2017-18 season as part of the trade that brought Adam Henrique to Anaheim in exchange for Sami Vatanen and a conditional third-round pick. With 26 points in 71 games, Blandisi has the most NHL experience of the prospect group. He was marred by injuries last season but may have an opportunity to prove himself soon. Fans are clamoring for Sam Steel to get his opportunity to shine and while he may get a few games here and there, it’s unlikely that he’ll see any major time this upcoming season. Time to develop into the highly-touted prospect is what Steel needs and playing with the San Diego Gulls is the smartest decision for him to start facing older, bigger players. Lundeström, on the other hand, already has plenty of experience playing against grown men in the SHL. Centering a third line position between veteran players like Andrew Cogliano and Patrick Eaves would be the perfect opportunity for an already-responsible player like Lundeström. While he may not provide huge scoring depth, he has the hockey IQ and defensive ability to hold down the third line while continuing to improve his game. 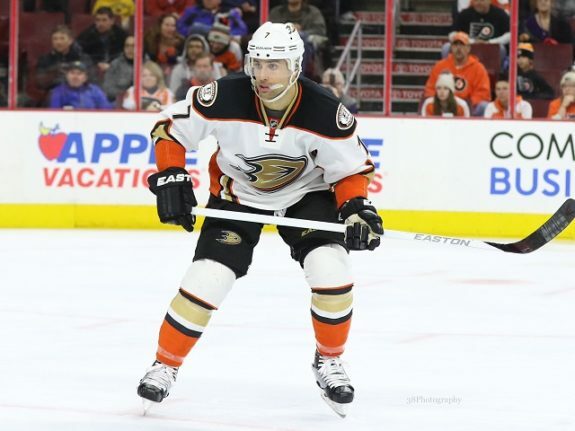 Having an excellent defensive winger in Cogliano would allow him to take a few chances and explore his shooting ability, and his speed will allow him to keep up with the Iron Man. Whether it’s in the NHL or the SHL, Lundeström told The Athletic that his goal is to be “a little more selfish” and to shoot more (from “Ducks Prospects Leave Good Opening Impression in Rookie Tournament’ – The AthleticNHL – 9/9/18). Should he succeed and improve his scoring while maintaining his two-way prowess, Isac Lundeström would become more than a “safe pick”, he’d be a serious threat and one that has a legitimate chance of cracking the Ducks’ roster.